While still celebrating its birthday, Google has announced YouTube Go, a brand new app designed for users of YouTube to enjoy more of the videos and music they love, upload original content, and share it all with friends, family, and the world. Taking after Facebook’s Free Basic, YouTube Go is designed and developed to work more effectively in areas where internet connectivity is more limited. 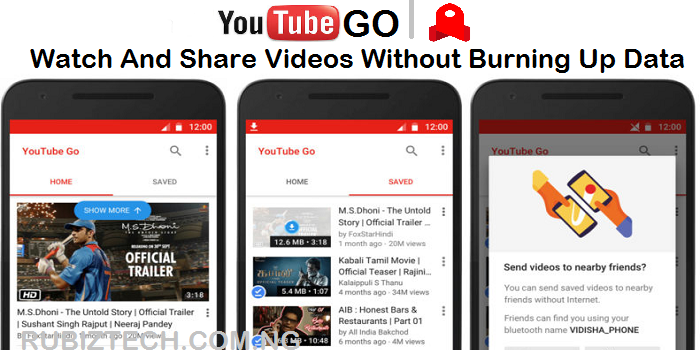 YouTube Go allows users to save videos for offline viewing, giving options over quality and file size so it’s clear how much data a download will use. The app also allows for local sharing with nearby users without using any data. YouTube Go is as a result of extensive research done across 15 cities in India by teams of engineers, designers, and researchers collecting ideas and testing prototypes with hundreds of people. Over the next few months, YouTube will be rolling the app out gradually to more testers, getting their feedback and improving the product before launching it to the general public. YouTube Go will gradually roll out to more people over the next few months, getting their feedback and improving the product before launching it globally. The company hasn’t announced an official date, but users in India can sign up on this page to be notified when it arrives.